More than 26,000 people within the 6-km exclusion zone from Mount Agung are currently living in evacuation centres as of the evening of 24 January, according to latest government data. The volcano’s alert status was raised to level 4 or Awas from level 3 or Siaga. Our current priority is to distribute respirator masks to evacuees affected by ashfall from the volcano. However, due to the evolving nature of this emergency, this may change as the funds raised are directed to meet the immediate needs of evacuees. To date, the relief effort has raised $132,990. This is thanks to the support of 908 donors who contributed either money or goods. 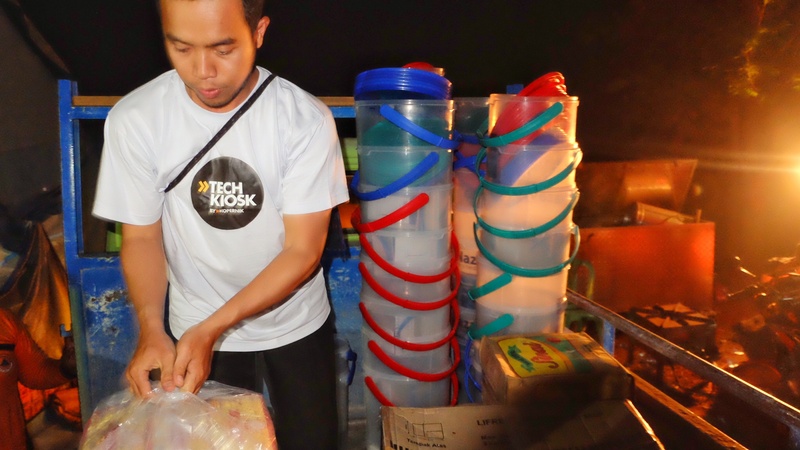 The funds have been used to purchase and deliver more than 40 truckloads of emergency items including hygiene kits, food items, blankets, sleeping mats, tarpaulins, sanitary pads and other critical supplies across 21 evacuation points in Bangli, Buleleng, Tabanan, and Karangasem regencies. We have also supported the well-being of 60 cows in Sidemen that had been moved out of the red zone. We have also distributed 576 water filters and 55,055 N95 respirator face masks, provided much needed sanitation facilities with the construction of 26 toilets in three evacuation points, and trained 718 community leaders through a series of workshops in disaster preparedness. While we cannot mention all the individuals who have contributed to the relief effort because there are so many, we are extremely thankful for each of your support. We will continue to work together with the evacuation centres to make sure that support keeps getting to where it’s needed.